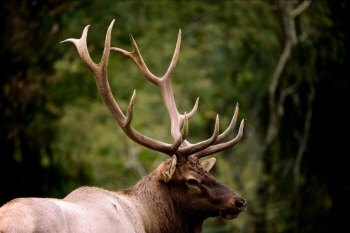 SOUTH CHARLESTON, W.Va. — The Division of Natural Resources is reminding hunters and other outdoor enthusiasts possession of shed elk antlers and removing them from the wild is prohibited by West Virginia State Code. It is illegal to hunt elk in West Virginia. Possession of any part of the elk is prohibited. The public may notify local DNR personnel if they encounter shed antlers, but they should not take it upon themselves to remove the antler from the wild.